Video on Bullying, This is a problem it has been around for years. Now we have just taken it to a new level. Kids need to understand the harm that they can cause to another by cyber bullying someone. Distinguished individuals in education discuss the need for change in the classroom. Student data are we reading it right? This ad is great it says one thing that we always need to keep in mind as it realtes to reading student achievment data. That is are we reading it right? I find this video very inspirational, it say much about mankind. It say that if we dream that we can be any thing that we want. We need to find out how to engage student and make them believe that we believe in them and to dream of being what ever they want. In the video you see many men and women that dared to dream and achieved great thing in life and for mankind. Which teacher do you want to be the 20th or 21st century teacher? 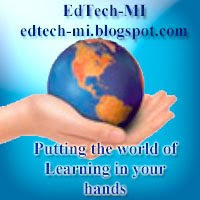 Are the educators of today preparing students properly for the technology of the 21st century. This video ask the question of are we preparing students for the future? I agree with the video only the future will tell us if we have with 21st centtury teaching practices. We need to develop a new pedagogical dna for schooling in today’s world in order to break from the past. We have taught industrialized education for more then 200 years. The rooms still have rows of desk and we stand in front of the student and try to fill them with the required amount of education. We need to engage students and allow them to find learning with great enthusiasm. This video says much about past and current education. If you ask any educator why they decided to become a teacher you will hear them say things like, to make a difference in a teaching are young people, or the gratifications of seeing children learn and grow. It is also that time, when but if only one student comes to you and says, “I want you to know how much of a difference you made in my life back in 6th grade.” This is what makes teaching all worth it in the end. In order to have meaningful learning, we need to have instruction. Meaningful learning is what we will talk about in this instructional design paper. We will look at what makes best practices in the design of instruction and we will compare and contrast two styles of instructional design. Over the last year are cohort group has looked at many facets of instructional design. I will be using what we have learned from the book, “Essentials of Educational Psychology” by Jeanne Ellis Ormrod and the book Educational Assessment of Students by Anthony j. Nitko and Susan M. Brookhart in this paper and my presentation project. The two instructional design methods that we will be looking at are the, “ADDIE model of Instructional Design Process” and “Backward Design by Wiggins and McTighe”. The best description that I have read about what instructional design is, comes from the Leslie Owen Wilson’s website she explains it as this, “In writing curriculum or developing instructional task the following needs to be considered. If you use the metaphor of those Mylar pictures in textbooks that showed the varied layers of topography, or the parts of the human anatomy, then writing curriculum is a similar process it is like developing a series of layers until it becomes a whole picture.” I think this is a great illustration of instructional design, for if we forget any one of the layers of design then we may miss the whole picture that the student gets and they will not achieve mastery of the subject. The first design that we will look at is Backward Design, the process has a three step approach they are, Step one Identify desired results, step two Determine acceptable evidence, and step three plan learning experiences and instruction. In step one, we need to identify what is the important learning objectives that we will cover in are instruction. These learning objectives can come from the state standards or district pacing guides. In step two, we will determine the evidence of good assessments to use to determine the depth of understanding with pretest, post test and performance assessments. After administering pre test assessments we may need to make mid course adjustments depending on the group of students understanding of the learning objectives. We will use the post test and daily test to make sure that students have created relevant understanding as they move up the levels of blooms taxonomy. The step three, we will plan the learning experience and instruction. This is where we look at the different strategies that are research based to enable the students’ skills towards mastery of the subject mater. This is the meat and potatoes of being educators; it is where we work on different strategies to make sure that all happens for all children as they develop true understanding of the objective. The second design that we will look at is the ADDIE approach to instructional design. This process is arranged in five steps. Step one is Analyze, step two is Design, step three is Develop, step four is Implement, and step five is evaluate. In Step one of the ADDIE approach we look at Analyze, in this step we look at who are the learners, what are the objectives, what are the strategies that we can use to help the student achieve mastery. What can we use as assessments, and how much time do we have to meet these objectives. In step two we look at the instructional methods that we can use to help the students to reach mastery of the subject. We look at lectures, home work, projects, and other instructional lessons. In step three we look at tools that we can use in the creation of instructional tools. In this stage we look at creation of assessments tools. In step four, we look at Implementing, this is the part of the instruction were the students is given the instruction and the students are prepared for the lessons that will be delivered to them. If step five, we evaluate, this is where we use formative assessments. These assessments are made up of six stages. The first is evaluation of goal specifications, the second is preparation, the third is data collection, the forth is data analysis, the fifth is revision, and the sixth is recycling. In Stage one is the formative evaluation, this is where we determine goals for the stakeholders. The second, stage the preparation having the correct measurement tools. The third, stage is data collection this data is feedback from the students. The forth stage, is data analysis or to tabulate the data and evaluate. The fifth, step is revision where we modify the outcome to try to raise the data above the goals. The sixth, step is recycling this is where we move to a summative form of assessment. In this assessment we look at the student outcome can be used in the continuing improvement model to help us refine are instruction to help students in future groups gain depth of knowledge. It also helps us look at the students to see how many students reach mastery of the subject and what objectives were achieved or missed. These two instructional design tools have some similarities and some differences. First I will compare these two systems. They both have the same outcome, it is to help students achieve mastery of the subject area. They both recommend using best instructional practices and theory in educating student with many forms of instruction. They both talk about assessment as a key component in deciding what students prior knowledge is. It also allows use to look at the final outcome with the summative assessment to see how we can improve are instructional practice to help the student to achieve student mastery. Both systems also look at what the target objectives are that we need to cover to make the students successful. There is some significant contrast to the two system of instructional design. The first is that they start at opposite extreme of the educational process. The Backwards design looks at what we want for the final outcome for the students to be. In this step we are looking at learning objectives or pacing guides or state standards. Where the ADDIE system looks at other factors as who are the group of learners or who is are audience. It also looks at what are deliveries method will be, and how much time we have to complete the learning unit. In the backwards design we next look at assessments that we can use to make sure learning objective are being covered. Whereas the ADDIE system makes the assessment part the last part of design in instruction. The last and final step of backwards design is the planning for learning instructional methods and instruction. Where the ADDIE is Data collection, analysis and revision of instruction then evaluate with summative assessments. I find the backwards design to be a process that is easier for me to follow and to be the more logical approach to instructional design. Both methods in the end accomplish the same goal of helping students to learn and achieve mastery of the subject. I also like the temples that have been created by Grant Wiggins and Jay McTighe to help in developing instructional materials to meet the Backwards design concepts. But no matter which process you find to meet your needs, they both have the same basic objective to help the student to learn the subject and to evaluate the learning with formative and summative assessments. Ormrod, J., (2006). Essentials of Educational Psychology. Upper Saddle River: Pearson Merrill Prentice Hall.Nitko, A., & Brookhart, S. (2007). Educational Assessment of Students. Englewood Cliffs: Prentice Hall.Wiggins, G., & Mctighe, J. (2005). Understanding by Design. City: Association for Supervision & Curriculum Deve.